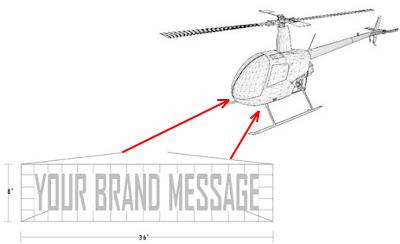 Bootcamp Lights is an innovative brand of media using a custom built R22 Helicopter – outfitted with a 36 x 8 foot digital billboard to reach key areas throughout the area. 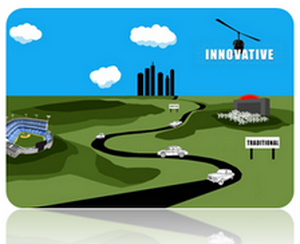 Our goal is to provide an innovative platform where anyone can promote a message. We believe that advertising should be simple, effective, and affordable for all. With simplicity in mind, our beta online interface gives everyone the opportunity to promote their message on our digital billboard with just a few clicks. As we debut this new program, our team will share flight plans designed to reach prime locations, major events, and rush hour traffic. On these publicly announced major events you will have the opportunity to display a custom 100 character message. We designed this interface using 100 characters because it will take exactly one-minute to scroll 100 characters on our digital billboard. We recommend that you keep your message short and simple. Use most of the space provided and repeat your message several times. Bootcamp Lights has a full service video production team. We use the latest technology to capture campaigns and provide creative online video content. We encourage our clients to purchase an HD video of their campaign, which can then be shared through social media outlets to further spread the message. It’s all about bringing out-of-home media to online where the possibilities are endless. Bootcamp Lights is authorized by the Federal Aviation Administration (FAA) to fly digital advertising above metropolitan areas. The Bootcamp Lights Helicopter can hover directly above prime locations or fly customized flight plans, targeting multiple areas. When building something new, it is important to realize that not everyone will understand your model. Don’t get hung up on trying to be complete, but focus on being right. 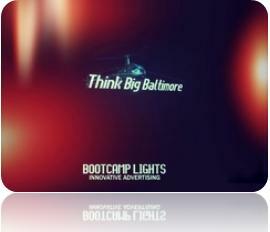 Join one of Maryland’s most innovative advertising agencies. Tell us why you are passionate about learning new techniques to help others. Send your cover letter and resume to info@bootcamplights.com.